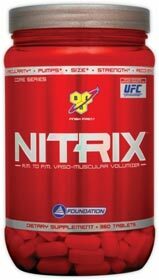 Nitrix is another one of the many popular BSN supplements. 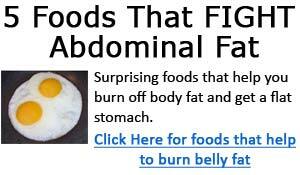 It's similar to the very popular NO-xplode containing L-Arginine Alpha Keto-Glutarate (AAKG). The main differences being that NO-xplode contain various other ingredients such as creatine and several synergistic ingredients that help to raise NO levels including Citrulline Malate, Rutaecarpine, and Gynostemma pentaphyllum. BSN Nitrix is a pure AAKG supplement with little else added other than a controlled release additive, and some dicreatine malate. With all else considered, there probably isn't that big of a difference between Nitrix and NO-xplode. NO-xplode is intended for pre-workout, which should give you an energy and strength boost, more focus, and a good pump. Nitrix is meant to be taken 3 times a day, to increase blood flow and give you a good pump. Another thing that does come to mind is that while both will likely give you a good pump and increased vascularity (more veins), NO-xplode will probably give you somewhat of an energy boost as well. BSN NO-explode shares quite a few key ingredients with Endorush (BSN's energy drink) - if you're looking for a energy drink, I highly recommend trying Endorush. Nitric Oxide was originally discovered in the 80's - come to think of it, that's only about 20 years ago. Two scientists were studying a mysterious gas that was only present for an instant every time a muscle contracted and blood vessel dilated. They eventually discovered this gas, and it was called nitric oxide. Hemodilation is a common term that you will hear when talking about NO supplements, which simply means widening of the blood channels, leading to increased blood flow resulting in more nutrient and oxygen delivery. Nitric oxide is present only briefly when a muscle contracts and blood vessel dilates. What it does is increases blood flow. When you exercise, nitric oxide is released causing blood surges, which is what you experience - called the 'pump'. However, this is only temporary, which is why you lose that awesome pumped feeling shortly after you finish your workout. Dicreatine malate - is a highly soluble creatine salt, and provides greater increase in creatine bioavailability over regular creatine monohydrate The dicreatine malate is bound to malic acid which offers greater ATP production. So, is BSN Nitrix worth a try? It's quite similar with many other AAKG supplements on the market, but it's the one that we've received by far the most user reviews and feedback on. Of the hundreds of user reviews and feedback we received on Nitrix, it's rated with an average score of 4.1 out of 5. While there are users that did not like Nitrix for various reasons, the majority of the reviewers posted very positive feedback comments. Obviously, not everyone will respond the same to NO supplements - some seems to respond very well, while other don't seem to derive any noticeable benefit. But considering the numerous user reviews and feedbacks, I'd say BSN Nitrix is a worthwhile supplement. BSN Nitrix User Reviews - we've received many, many user reviews and feedback on Nitrix. This link takes you to the user reviews posted in our reviews section. BSN NO Xplode User reviews - this is by far the most reviewed supplement by users on our site. BSN Endorush User reviews - while this hasn't received as many user reviews as Nitrix or NO-xplode, but from the reviews we've got, a common theme is the massive energy Endorush gives the user. A++ on my list.